When PowerColor released the RX Vega 56 Red Dragon earlier this year, there was talk that a true ITX sized version might be on the way due to the miniature PCB underneath the full-sized cooler. They have now confirmed that a 'Nano' design will be showcased during Computex 2018. PowerColor has announced that their PowerColor RX Vega 56 Nano will be publicly displayed for the first time during Computex 2018. The Nano uses a shrunken PCB designed to suit the dimensions of a Mini-ITX motherboard. PowerColor has a close relationship with Foxconn, and this allows them to tailor PCB designs to meet various needs (not all brands have this ability). While details are thin on the ground, Anandtech has speculated that the Nano will use the same miniature PCB that the PowerColor RX Vega 56 Red Dragon uses. The Red Dragon is an interesting Frankenstein’s Monster mix of tiny PCB with a traditional high-end heatsink that includes three fans. AMD specifies that RX Vega 56 has a “typical board power” of 210 watts, which would be the reason why small-PCB designs are rare, and why the one that PowerColor currently produces is shipped with a full-sized cooler#1. The Nano might be clocked slower than the 1156/1471 MHz base/boost clock speeds to reduce power consumption to a level that an SFF-friendly heatsink can cope with. 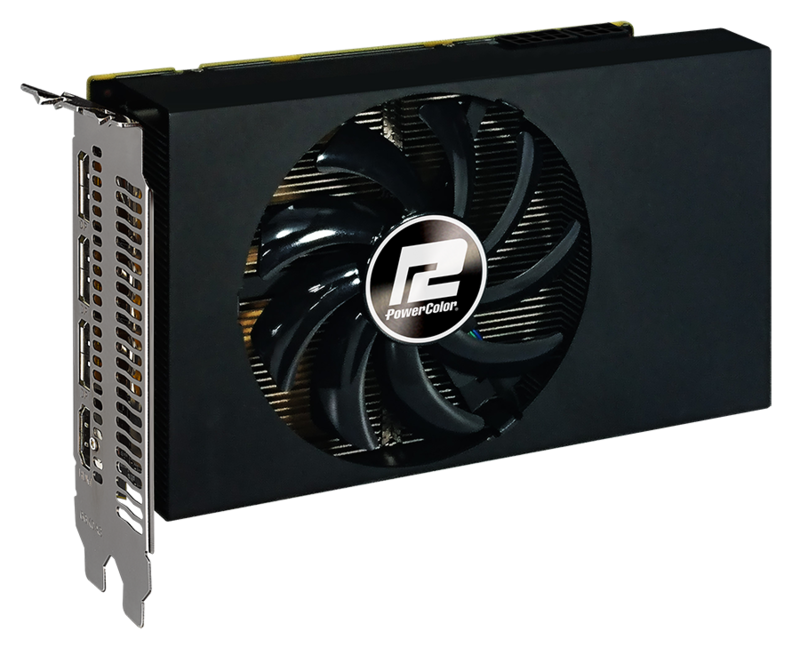 Perhaps PowerColor will promote the use of GPU water cooling since they have previously partnered with water cooling manufacturers to produce factory fitted water cooled graphics cards. Fortunately, we only have another two and a half weeks to wait until full details are revealed at Computex 2018. 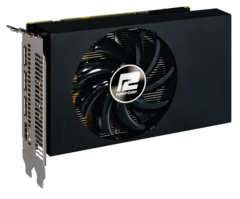 AMD fans with Mini-ITX systems will soon have a high-end alternative to the AMD Fury X Nano.